Bloody Brilliant Women is an informative and engaging celebration of women’s progress in Britain over the past 100 years, celebrating many of its unsung heroines. 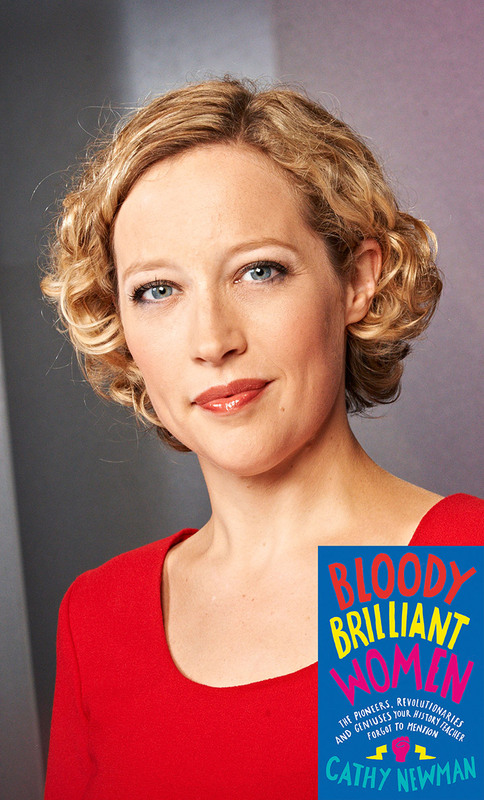 Journalist Cathy Newman covers the development of the intellectual, political, financial and sexual emancipation of women, one of the 20th Century’s greatest legacies. Newman tells the stories of the women, and the events, that paved the way towards a more equal society. Some are now household names, while others were plucked from relative obscurity to reclaim their place in history. This is a meticulously researched exploration of a century of brilliant women. Cathy Newman is a journalist and presents Channel 4 News. Since joining Channel 4 News in 2006 she has broadcast a string of investigations and scoops. Newman began her career as a newspaper journalist, and had spells at The Independent, the Financial Times and The Washington Post. Cathy will be in conversation with journalist Matthew d'Ancona, the editor of Drugstore Culture, a new culture and politics magazine.